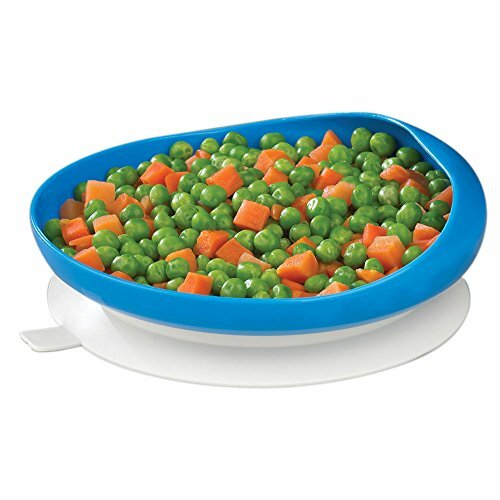 Scooper plate allows for adaptive dining enabling self feeding without excessive spills. The high rim helps control contents of plate, while the one side with reverse curve allows food to be pushed onto eating utensil. This scooper plate is somewhat smaller than average dining plate, 6 3/4"Dia. The smaller size also is ideal for better portion size control. Each scooper plate is equipped with suction bottom that keeps it stationary on the table.